Graduated in Hispanic Language Studies of the UV, within which she has got also the Diploma de Estudios Avanzados (DEA) (Tertiary Education Degree). She was part of the research projects on the natural language processing SisHiTra and Itefte, at the Universitat Politècnica de València, as an intern and researcher. Likewise, she was member of the research group Pattern Recognition and Human Language Technology (PRHLT) at the same university. He has worked in language teaching for adults to the Ausiàs March Foundation and as a professor of Official School of Languages. At the same time, he has taught at the Universitat Politècnica de Valencia and, currently, at the UV. She also works instructing trainers, and translating and she is interested on translation. He is doctor in Spanish Studies and holds a Master’s Degree in Hispanic Studies: Applications and Research. He is professor of the Department of Spanish of the Universitat de València. He has participated in the research projects “Norma y uso del español para los profesionales de los medios de comunicación” and “COMETVAL (multilingual corpus on tourism of the Universitat de València).” He has been part since 2005 of the language immersion courses on E/LE (Spanish as a foreign language) of the Universitat de València and he is currently a member of the DELE tribunal (Diploma in Spanish as a Foreign Language) of this university. His publications focus on two main research lines: the loans and their adaptation to Spanish language, on the one hand, and the research on E/LE, on the other. 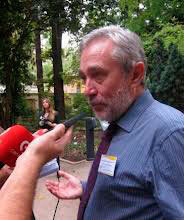 He is full university professor of the Department of Geography of the Universitat de València. He is doctor in Geography since 1985 with a doctoral thesis titled “Geomorfología del Sector Ibérico Valenciano (entre los ríos Mijares y Turia).” Since then, he has worked in great many research projects centred in his three main research lines: climatology, interpretation of physical environment and hydrogeology of historical irrigations. Really committed to the territory and the geography of the Iberian sectors of Valencia and Teruel, he amasses a great number of scientific publications such as articles, reviews, collective works and individual books among which we emphasise “Geología para una Nueva Cultura de la Tierra”, “Fuerte impacto de las canteras de losa ornamental en el maestrazgo turolense y Sierra de Gúdar”, “Manual de geografía física” or the “Atlas climático de la Comunidad Valeciana”. As a professor he teaches the subjects of Climatology, Geography, General Geography, and Physical Environment at the Faculty of Geography and History of the Universitat de València. He is Doctor in Biological Sciences and he is holder of a Master”s Degree in Environmental Management and in Evaluation Studies of Environmental Impact. Currently he is developing his research in the Cavanilles Institute of Biodiversity and Evolutionary Biology of the UV. His research lines focuses on behavioural ecology and bird populations, having published more than fifty scientific articles, and having participated and directed several research projects. He also works in applied fields, having conducted studies on flora and fauna, environmental impact assessments, management works of threatened species, etc. together with companies and administrations (Acciona, OHL, Vielca, Valencian Department of Environment). 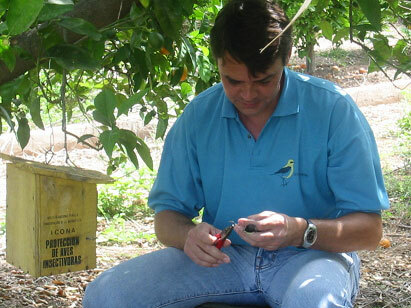 He is a member of the editorial commission of several scientific journals, consultant of different research agencies, and member of the Scientific Commission of the Spanish Ornithological Society. Regarding to teaching he is tenured professor of Ecology of the Ecology Teaching Unit, and teaches at the Degree in Environmental Sciences and the Master's Degree in Biodiversity: Conservation and Evolution”. He was also member of the Universitat de Valencia Senate, the Faculty of Biological Sciences Board and Cavanilles Institute Committee. She is full-time trainee doctor in the department of Microbiology and Ecology of the Universitat de Valencia. She is doctor in Biology by the Universitat de Valencia with the thesis “Diversidad genética y ecológica en especies crípticas de rotíferos: patronas y procesos”. (Genetic and ecological diversity in cryptic species of rotifers: patterns and processes”. She is specialised in the lines of evolutionary biology and life cycles, and limnology of restoration. We may highlight some works published such as “La complejidad de la evolución” (The complexity of evolution) or “La restauración de sistemas acuáticos continentales y su interés para la conservación: el ejemplo de las malladas en el Parque Natural de la Albufera (Valencia)” (The restoration of inland water systems and its interest for conservation: the example of the meshed in the Natural Park of La Albufera (Valencia)”. As Professor he teachs lessons to the Undergraduate Degrees of Biology, Chemistry, Environmental Sciences and the Master´s Degree in Biodiversity: Conservation and evolution of the Universitat de Valencia. He is Tenured Professor of the Department of Philosophy of the Faculty of Philosophy and Education Sciences of the UV. Doctor with a thesis entitled: "Acotaciones a la historia de la estética en la España franquista: la revista de ideas estéticas (1943-1979). Un estudio bibliométrico». (Drawings on the history of aesthetics in the Franco”s Spain: the journal of aesthetic ideas (1943-1979). A bibliometric study.) He is specialised in political philosophy. Among its publications we can highlight “Lukács: estética y poética” (Lukács: aesthetics and poetics), “El arte sociológico y la muerte de la Historia del Arte” (The sociological art and the death of History of Art”, and “Lecturas de la obra de Kafka” (Readings on Kafka´s works). As Professor he teachs lessons in the licenciatura (Former Spanish Undergraduate Degree) of Humanities and the Undergraduate Degrees of Audiovisual Communication.